Jackdaw (Corvus monedula). Taken at Lulworth, Dorset, on April 29th 2015. Taken at Lulworth, Dorset, on April 29th 2015. A small black crow with a silver-grey neck and pale eyes. It is common throughout the British Isles with the exception of the Scottish highlands. 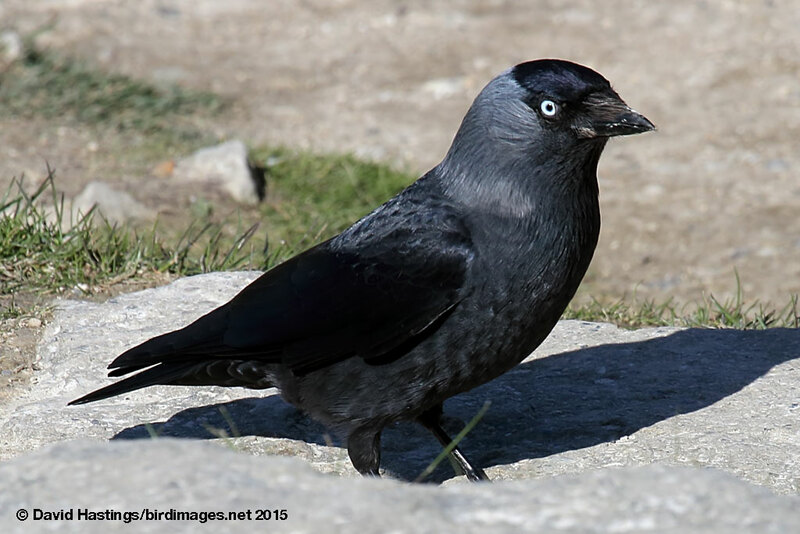 Jackdaws can be found in fields, woods, parks and gardens. They are sociable birds and usually seen in pairs or larger groups. They are quite acrobatic fliers, and flocks will often chase and tumble together in flight. There are about 1.4 million breeding pairs in the UK.